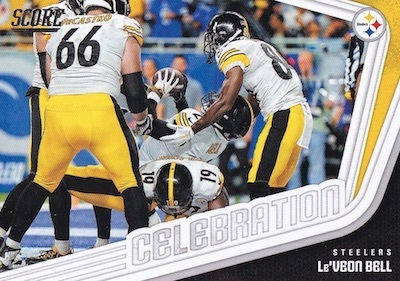 An early-season favorite for many NFL collectors, 2018 Score Football packs plenty. This includes an average of four autographs in each hobby box. 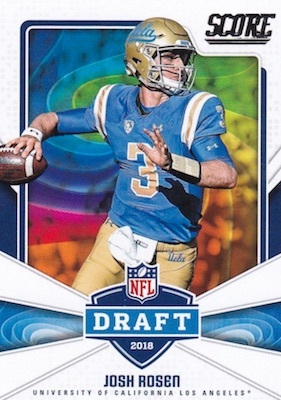 Releasing well before the start of the regular season, the set contains the earliest NFL-licensed rookie cards for the 2018 draft class. However, these first-year cards normally showcase college images and logos, just as they did in 2017. In addition, the hobby jumbo format of 40-card packs (10 packs per box) remains. 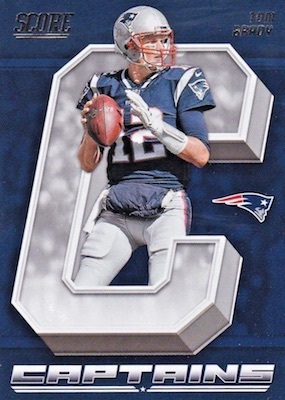 Noted by Panini as the "sport's largest base set," collectors have a pretty big task ahead of them. 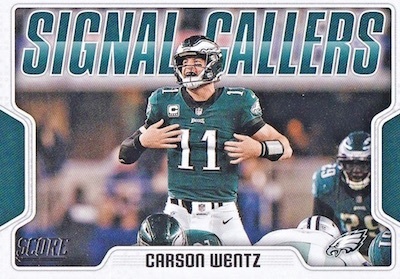 The massive 2018 Score Football checklist includes 330 veterans and 110 rookies. 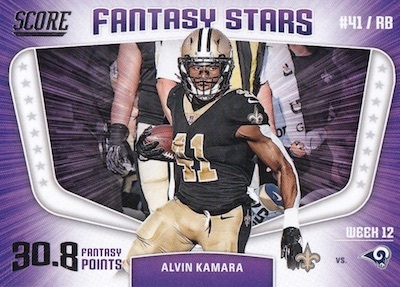 These base RC cards average at least eight per pack. As far as the parallel haul, collectors can look forward to 10 per box, at one per pack, with four being numbered. 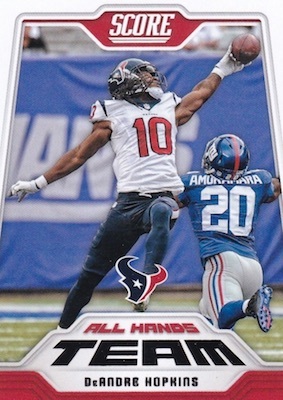 Averaging 36 inserts in every hobby box, the base set is not the only place for deep coverage. 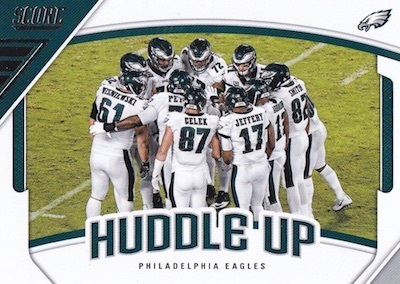 Among the choices, All Hands Team cards are for the very best at catching the ball, Celebration covers the excitement on display after a big play, and Huddle Up takes a team-based approach to the pre-snap meeting. 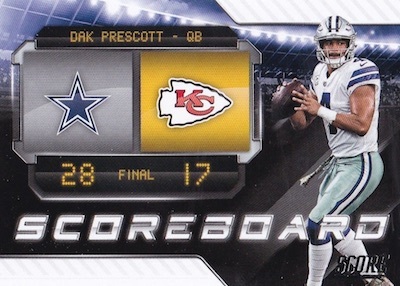 Other 2018 Score NFL inserts include Captains, Color Rush, Fantasy Stars, NFL Draft, Scoreboard and Sidelines. 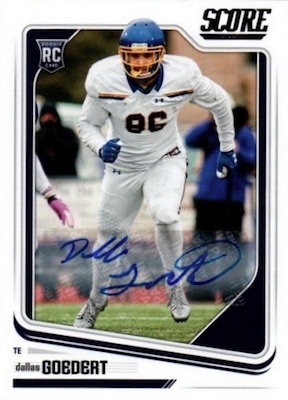 Getting to the hits, the 2018 Score Football autographs highlight first-year standouts with Rookie Signatures. Meanwhile, former and current stars are found in the low-numbered Inscriptions set (#/25 or less). Pairing names from prior drafts, the Draft Dual Signatures cards are twice as nice with two top players selected in a specific year. 2018 PANINI SCORE BRADLEY CHUBB END ZONE GREEN AUTO AUTOGRAPH 1 1 6 6 PSA 10! PARALLEL CARDS: Black, Gold, Green, Purple, Red, Scorecard, Showcase #/99, Gold Zone #/50, Artist's Proof #/35, Red Zone #/20, First Down #/10, End Zone #/6, Gem Masters 1/1, Printing Plates 1/1. 107 cards. 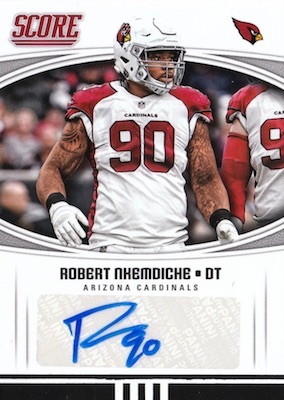 Shop rookie autographs on eBay. PARALLEL CARDS: Gold Zone #/50, Artist's Proof #/35, Red Zone #/20, First Down #/10, End Zone #/6, Gem Masters 1/1, Printing Plates 1/1. 40 cards. Shop autographs on eBay. 50 cards. Serial numbered #/25. Shop autographs on eBay. 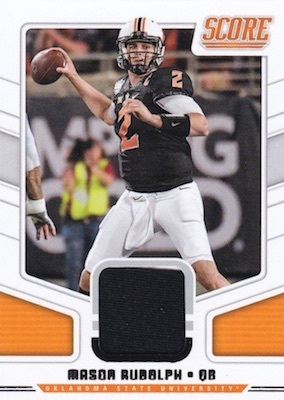 PARALLEL CARDS: Prime #/25 (No Tucker, Hill*). PARALLEL CARDS: Black, Gold, Green, Purple, Red. View the 2018 Score Football checklist spreadsheet. The product was right there, fast and efficient. Couldn’t get any better! No veteran checklist? 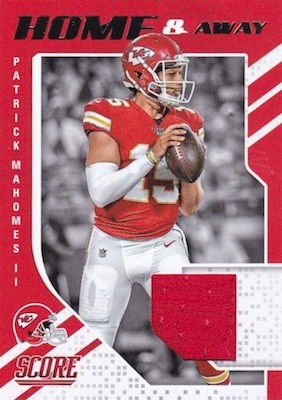 They(Panini) should know which veterans they are going to be making base cards for this set. Not a bad looking product. It hits the marks of early release date and affordability. 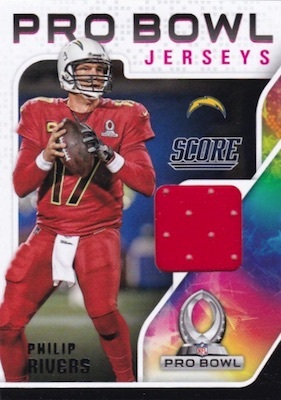 That being said I much prefer the Donruss release that has all of the rookies in their NFL uniforms and can be bought in a nice and sealed factory set. Based on what I have seen, retail is already out in some places. Hobby is scheduled for 4/25. Same Panini garbage every year, with ZERO creativity. Topps, Upper Deck, where are you???? 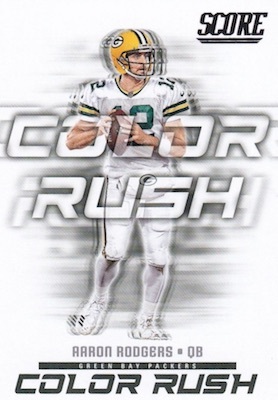 Trey – are all the color variations going to be in the hobby jumbo? No word yet about where the parallels are found. 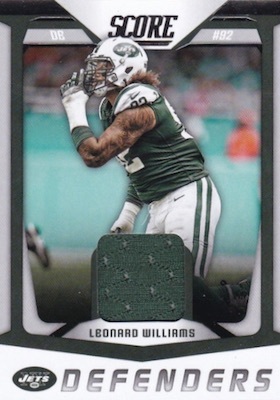 Not bad for a basic set builder product looks nice, but I have ZERO patience for this Panini rewards B.S. 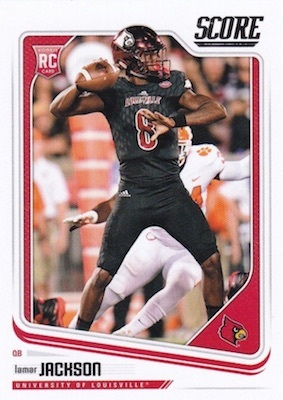 Which I can see will be a thing “**” Secondly, so you could not get Lamar Jackson to sign in this product….but why no NFL Draft subset card??? Just sayin…don’t want to distract you guys from making those stickers over in Europe. Dollar for Dollar the best base set in any sport. Better than Topps Baseball, Upper Deck Hockey and Panini Hoops. A lot of Rookies and A lot of Veterans. A simple fun set to collect. 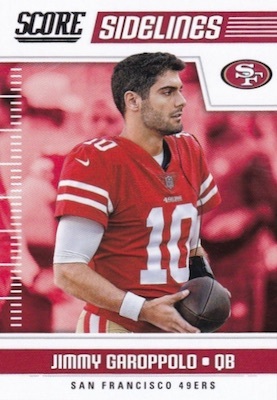 Seems likely but no official word from Panini. Very disappointing. Terrible collation in the hobby box I opened and only pulled two autos. Affordable👍Lower end product. I got a Nick Chubb autographed printing plate so I definately like this product. Good rookie based product. 4 autographs per box. not bad at all. Beckett won’t grade because of no mention on the back. Thanks again, Panini. 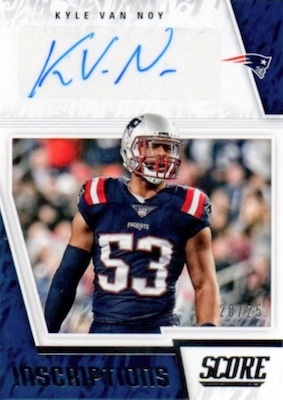 Some autographs do mention authentic on the card itself. It’s a nice set overall. I paid $120 from a local hobby shop but he threw in about $20 in free top loaders… Got a few rc auto…red zone Melvin Gordon #/6… Inscription auto Ezekiel Elliott #25 (meantions auto on the card).. Some #’d parrallels, so I think it was worth it. Some autographs do mention authentic on the card itself. It’s a nice set overall. I paid $120 from a local hobby shop but he threw in about $20 in free top loaders… Got a few rc auto…red zone Melvin Gordon #/6… Inscription auto Ezekiel Elliott #25 (mentioned auto on the card).. Some #’d parrallels, so I think it was worth it. This is a fun and inexpensive set. I love the different sets and checklist this provides. The insert sets are very doable ranging from 10-30. QUESTION: Can anybody tell me about the grey parallel SCORECARDs?